I’ll be posting more about November events and news as the month goes on – but there’s some great news in the restaurant scene for Maui, and some really special events taking place this month so I wanted to get this out quickly. Once everyone gets over their Halloween hangover, puts all the decorations away, and changes the calendar, they will realize that Thanksgiving is coming faster than we can say ‘gobble, gobble’, and I’ll start getting lots of information on Thanksgiving lunch specials, Black Friday sales, etc! Here’s your highlights for Maui News and Events for November, 2013. 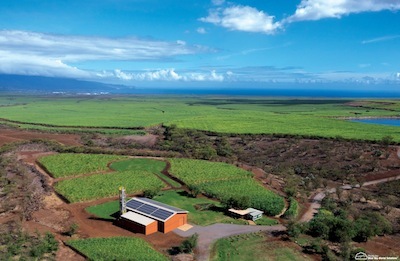 Starting today, Ocean Vodka Organic Farm and Distillery in Kula is now adding samplings of their vodka. Tours are offered daily for $10 a person (12 years and older). For those 21 and over, includes a sampling and souvenir Ocean Vodka shot glass. Click to learn more about tours. Morimoto Maui, at the Andaz Maui in Wailea, is now taking reservations for their official opening date of November 7! Masaharu Morimoto, best known for Iron Chef and Iron Chef America, is opening his newest Morimoto Restaurant in Wailea, featuring local ingredients and blending Western and Japanese traditions. Enjoy hand-rolled sushi and sashimi made from locally-caught fish, as well as inspiring cocktails, in the laid-back, oceanside setting. Will be open daily for lunch and dinner. Call (808) 879-1234 for reservations. Officially opening today, Dazoo is reinventing fine dining on Maui, using fresh, locally sourced ingredients prepared with an Asian-Pacific flair. Combining their unique ambience, affordable tapas style plates and award winning cocktails, Dazoo is a welcome addition to the restaurant scene of Maui’s North Shore. Open daily for breakfast and lunch, and Tuesday – Saturday for dinner. Call (808) 579-9999 for reservations. One of the island’s best gift stores, Maui Ocean Treasures at the Maui Ocean Center, is set to be opening its long-awaited online shop on November 15. More info coming soon! Saturday: 1 p.m., 4 p.m., 7:30 p.m. Details: The “Modern American Circus” features a world- acclaimed troupe of more than 15 artists performing a star-studded show with a contemporary array of aerial, ground and stand-up acts utilizing the traditional circus center ring under the “BIG TOP”. Details: Mana Foods and Maui Huliau Foundation will host a farm-to-table benefit dinner and mini-film festival under the stars at Ocean Vodka Farm. Huliau is a nonprofit offering environmental education programs to Maui youth. Makena Resort’s Executive Chef Mark McDowell will serve up the main course, and other local Maui chefs will face off in a pūpū competition using produce from local farms. Local food and beverage sponsors Whole Foods, Life Foods and Ali’i Kula Lavender will contribute ingredients, Pono Pies will serve up dessert, and Maui Brewing Company, Ulupalakua Winery, and Ocean Vodka will stock a 100% local bar. The festival will also screen the teens’ videos about the chefs and farms as well as the music video, Barges, which went viral on YouTube. Details: The 8th Annual Pacific Cancer Foundation Holiday Gala is always a favorite event to usher in the holiday season. This year’s theme is A Great Gatsby Style Christmas! More event details coming soon!